When I stepped into the railway carriage, this was all I knew. After my adventurous life—after the volcanic agitations of my republican career in the Doctor’s time—was I about to bury myself in a remote English village, and live a life as monotonous as the life of a sheep on a hill? Ah, with all my experience, I had yet to learn that the narrowest human limits are wide enough to contain the grandest human emotions. I had seen the Drama of Life amid the turmoil of tropical revolutions. I was to see it again, with all its palpitating interest, in the breezy solitudes of the South Down Hills. 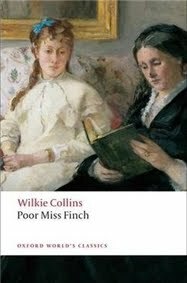 Wilkie Collins’ 1872 novel Poor Miss Finch tells the story of Lucilla Finch, a blind young lady who leads an isolated life in her country home in Dimchurch. She advertises for a paid lady’s companion and thus meets an impoverished widow, Madame Pratolungo, who is our narrator. Shortly thereafter, a young man by the name of Oscar Dubourg moves to the village of Dimchurch, and he and Lucilla soon fall in love. However, a surprising turn of events comes to threaten their happiness. Poor Miss Finch has many of the ingredients of Collins’ more well-known sensation novels: there are twins, impersonations, and mistaken identities; conspiracies and betrayals abound. The result, however, is more subdued and far less scandalous than most of his other novels. This isn’t really a bad thing – after all, as Madame Pratolungo says in the excerpt I included above, the full spectrum of human emotions can often be found even in the most seemingly peaceful of circumstances. Also, it’s worth remembering that certain plot elements – something like, say, a robbery in a village – were a lot more dramatic in 1872 than they seem to us now. Still, the plot of Poor Miss Finch is a little unlikely and may sometimes verge on the absurd; but going along with it and nudging our disbelief into full suspension is certainly worth it, for the sake of everything else this novel has to offer. First of all, there’s Lucilla Finch herself. Despite the title, she doesn’t emerge as a figure to be pitied – quite the contrary. I won’t say that what Collins offers here is an entirely unproblematic portrayal of a disabled heroine, but it did surprise me very pleasantly. Most unexpected of all was the fact that as I read Poor Miss Finch I was repeatedly reminded of Oliver Sacks’ writing. Like Sacks, Collins acknowledges and respects the fact that Lucilla has developed a perfectly functional way of making sense of the world without using her sight. Furthermore — spoiler alert — unlike what happens with many portrayals of disabled characters (then and now), he doesn’t feel the need to make Lucilla “whole” again by curing her of her blindness. Lucilla is also an interesting character to think about when it comes to gender roles. There’s a lot about her that does fit into dominant ideals of Victorian womanhood, but she also deviates from them in exciting ways – namely when it comes to “modesty”. She has no shame about expressing her feelings for Oscar, for example, and doesn’t understand why she’s expected to hold back. The rules for young ladies from E.M. Delafield’s Thank Heaven Fasting are happily ignored by Lucilla, much to her companion’s dismay. Most exciting of all, she’s not once punished for being so immodest and unladylike. In a subtle but undeniable way, Collins questions ideas about proper feminine behaviour that were understood to be natural and inevitable. Lucilla is also no noble, selfless, sacrificial heroine. In fact, most of the bad things that happen in Poor Miss Finch happen when other characters try to deny Lucilla’s agency and make choices on her behalf, even if (or especially if) these are meant to be “for her own good”. Much of the novel’s conflict relies on the other characters having this tendency: everyone wants to spare Lucilla, but she doesn’t want to be spared at all. There’s also Madame Pratolungo, a fascinating character in her own right. Wilkie Collins is a master of the humours narrative voice, and Madame Pratolungo’s is no exception. One of the most interesting things about Collins is that you never quite know how much in his work is only a compromise towards conventionality – he often raises extremely daring possibilities only to immediately thereafter pay lip service to the fact that they are very scandalous and undesirable indeed. A narrator like Madame Pratolungo, then, offers very interesting possibilities. She’s a slightly theatrical French revolutionary; a staunch republican who was involved with South American guerrillas and is determinedly blind to their failings. She’s a very easy character for Victorian audiences to dismiss and ridicule – and yet you get the feeling that Collins is very much counting on this when he puts very real observations about class, gender and propriety in her mouth. He gets away with far more than he would if this were a more conventional narrator – it is, after all, only silly, idealistic, foreign Madame Pratolungo. But when all is said and done, what she has to say still stands. What keeps me coming back to Wilkie Collins’ work are all the contradictory forces at work in his novels; all the tensions and pulls in different directions. There’s a lot about Poor Miss Finch that I feel unequipped to unpack properly, but struggling with all these ideas was part of what made this such a rewarding read. This was a surprising novel by an author who has surprised me almost continuously ever since I started reading him. Poor Miss Finch may not be Collins’ best work in terms of plot cohesion or readability, but it’s full of memorable and unusual characters and surprisingly daring ideas. Ah, I am now treading on egg-shells, I know! The English spectre called Propriety springs up rampant on my writing-table, and whispers furiously in my ear, “Madame Pratolungo, raise a blush on the cheek of Innocence, and it is all over from that moment with you and your story.” Oh, inflammable Cheek of Innocence, be good-natured for once, and I will rack my brains to try if I can put it to you without offence! May I picture good Papa as an elder in the Temple of Venus, burning incense inexhaustibly on the altar of love? No: Temple of Venus is Pagan; altar of love is not proper—take them out. I read my first Collins a few months back (The Woman in White) and adored it. Here's another to add to my list. Thanks for sharing. Now it is my turn to say I've never read this book, in fact I've never read anything by Collins. Never sure where to start though?! This sounds great! I have only read The Woman in White but someday, I swear, I will read more of Collins! i'm a bit embarrassed to say that i've never read wilkie collins! i keep seeing his work popping up over the blogosphere though and i rarely see a negative review of his novels. Jessica: My favourite so far is probably No Name, but The Woman in White might be a better introduction. It's very hard o put down! reviewsbylola: The Moonstone is also brilliant! They're all interesting in their own way, really. Lena: Don't be embarassed - it's never too late! Ohhh, I need to read this one. I love Collins. I think he is underrated. You should read Uncle Silas by J Sheridan LeFanu. An original Victorian gothic. I enjoyed this one too. It might not be one of his best books, but I'm finding that his lesser known novels still have a lot to offer. And I loved Madame Pratolungo's narrative voice! Melinda Belle: Loved Uncle Silas! I agree about Collins being underrated, although I think his reputation is changing. Helen: Wasn't she the best? And I completely agree about even his more obscure novels having something to offer. Lucilla does sound interesting. I've been wanting to try Collins' work for a while. I think what can annoy me about Victorian literature is just how very black and white it is. For example, you say above that Lucilla does very well for herself and it's only when other people try to do things for her that things go wrong- that just seems so DRASTIC to me. Why can't Lucilla just be somewhat imperfect and her unhelpful friends be a little more helpful? In so many Victorian novels, there is a true lack of subtlety that just really makes me want to scream, and I have a feeling Wilkie Collins (based on the one book I've read by him, Armadale) would be much the same. Aarti: I'm afraid the lack of subtelty and black and whiteness all have to do with faults in my own writing. I'm sad to have given that impression, because this novel really is a lot more complicated and nuanced than that. I do enjoy Wilkie Collins! Have only read The Moonstone and Woman in White, and plan to read No Name next. It's good to know there's another to add to my list. JoAnn, I'm very excited to hear you'll be reading No Name! It's my favourite of his so far. I had not heard of this book before now, but am going to be adding it to my list because it does sound rather interesting, and even if it's not his best work, Collins is an author who fascinates me. Thanks for letting me know about this one. I will have to try it out and see what I think! I'm so excited to read this one! I too love the complexities Collins puts in his novels. Even if this isn't one of his best (which I've heard elsewhere as well), I'm still excited to experience it. Collins has not disappointed me yet. I had to check LT to see if this is one I own and it's not! I really do need to read the three or four ones I have unread though before I buy more. But I will get to this one eventually and I'm very excited to now! I'm definitely a convert now that I've read two of Collins'... can't wait to read more. They are a treat. And the silliness and improbability just makes them all the more fun to read! Zibilee: The more I read Collins, the more I love him. He defies so many of the most frequent stereotypes about the Victorians. 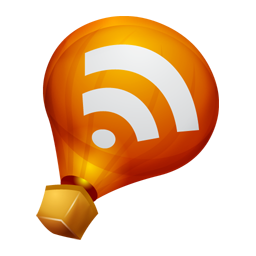 Trisha: Looking forward to your thoughts when you do read it! Rebecca: Same here! Definitely still worth reading, even if it's not quite up there with his others.